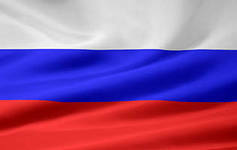 Russian Youth Championships (Russian draughts) among boys and girls for age groups U8, U10 and U13 was held in the ancient Russian city of Kostroma from March 21th to March 29th in three programs: Blitz, Rapid and Classic. 245 players took part in competitions. See results. Classic program ended. See results. Rapid was held today. 233 players took part in competitions. Blitz was held today. 245 players took part in competitions.